A very Happy Birthday to #S4G’s @delgrhe! 15 Aug A Night of Suspense and Mystery! 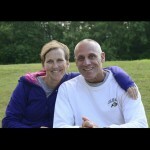 There was a palpable buzz around campus in preparation for the Mystery Co-Ed Activity on Saturday, August 9th. Campers and staff were given characters to portray during an evening of intrigue and suspense, so a lot of time was spent preparing these elaborate costumes. Teams collected evidence and used their powers of deductions to solve the case as the plot twisted and turned over the course of the evening. 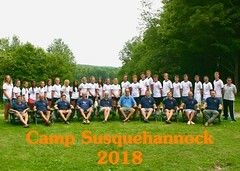 On Saturday, August 9th campers from S4B and S4G gathered for latest incarnation of the legendary Camp competition: the Super Mongo Goofy Monster Relays. 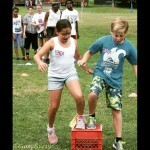 All-ages and co-ed teams competed in a variety of cooperative games around the campus. 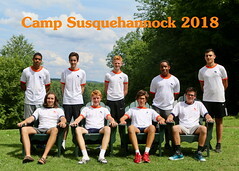 Events included Table Setting, Frisbee Relay, Scooter Obstacle Course among others and the results counted towards both Camps’ respective Orange and Blue Competitions! As the last full weekend of the summer approached, the ladies of S4G coordinated outfits for the always-popular Twin Day and built lake-faring vessels from scratch during a fun event called A Three Hour Tour (a threeeeee hour touuuuuur…). 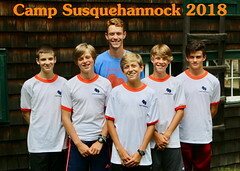 The boys continued to receive expert instruction in a variety of sports during Clinics, as they hone their skills for the Orange and Blue competition in the afternoon and evenings. The Juniors of both Camps took a hayride on Friday, August 8 to nearby Salt Springs State Park for an afternoon of hiking through the falls and a cook-out. The middle portion of our Second Session was punctuated by the culmination of the S4B Olympics, as the Zombie Nation team coached by Seth Brownold emerged victorious. The ladies of S4G enjoyed an evening Climbing Tower session and were treated to the return of a very special event: the Dog Show, which had not occurred in three summers. 04 Aug Second Session Fun! 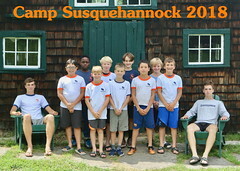 With one week completed in our Second Session, the campers have acclimated to the routine of the Susquehannock Experience. 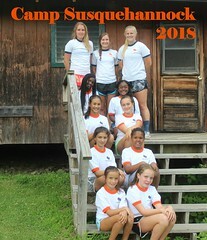 The ladies of S4G participated in a all-ages Dodgeball game that featured the appearance of Susquehannock Dew. The clouds cleared with plenty of time for the girls to go out with their cabin for Overnights. 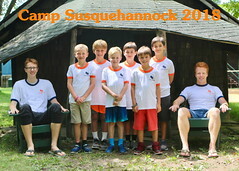 The Boys Camp Orange and Blue competition paused for the Camp-wide Olympic games. Staff draft mixed-age teams and play alongside campers in a variety of games and activities, starting with the Olympic Relays captured in the slideshow.